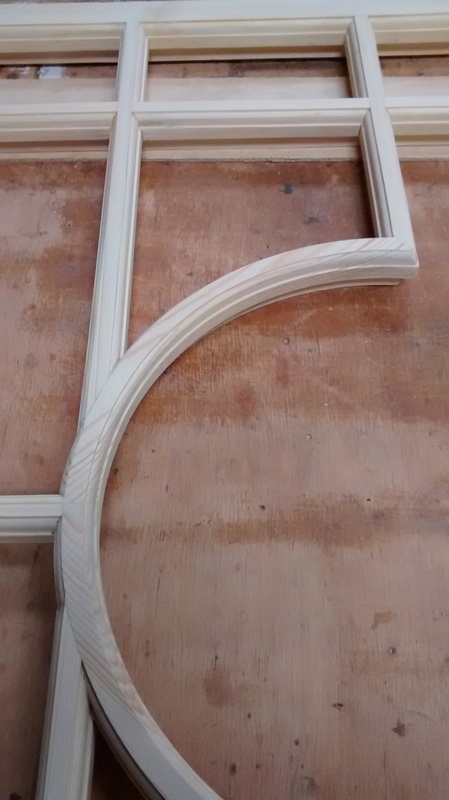 Here are a few photos showing sections of the manufacturing process of a decorative window. The photos sequence begins once all the jigs have been made and the timber laminated together. The window is to go in a bathroom on the 2nd floor and to be a centre point above an open landing walkway. All ready to be glazed with stained glass.